I don't usually write about DLC. It's not typically something worthy of writing about. 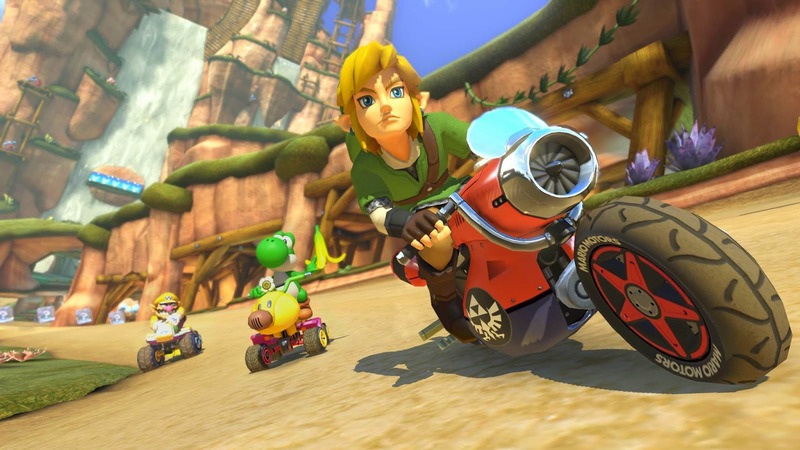 I think the Mario Kart DLC is a fantastic value for the money so it deserves some talk. There are two scheduled DLC packs for Mario Kart 8. The first just released a few days ago. It includes two new cups, which means eight new tracks. Eight tracks in a cart racer is a huge amount of content. Along with these come three new characters; Link, Tanooki Mario, and Cat Peach. Not to mention four new vehicles. My daughter and I have been having a blast with it. The new tracks are fantastic and they're getting me re-engaged with the game. I don't know if I've ever had DLC pull me back into a game like this, but new tracks in Mario Kart is seriously awesome. My daughter has been enjoying playing with the new characters and vehicles. She loves customizing her racer and changing it every race. This DLC has already convinced me to drop $7.99 for the next pack with a similar amount of content. If you've grown tired of Mario Kart 8 or it has fallen off your radar... it might be time to take another look.